Paul Jung was born in Dayton, Ohio in 1901. Paul's mother and father did an acrobatic act in vaudeville, by age eight Paul, along with his brother Walter were performing in the family act. 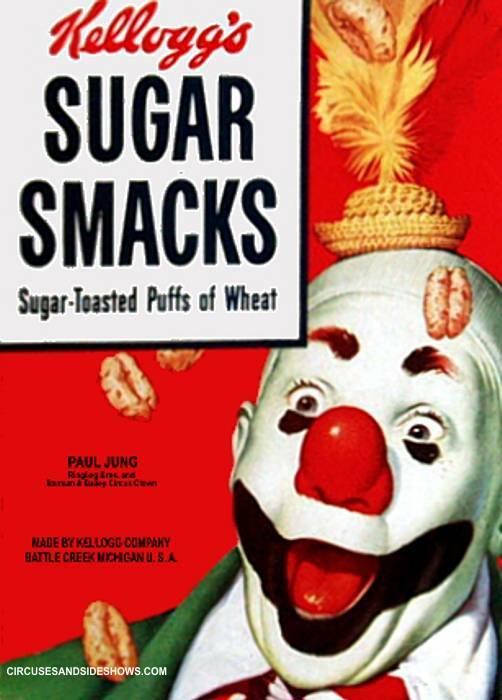 In 1917 at age 16, Jung joined the Ringling Bros Circus as an acrobat. He left in 1924 to work again in vaudeville and then returned to the circus in 1934, which had become the Ringling Bros and Barnum & Bailey Circus. 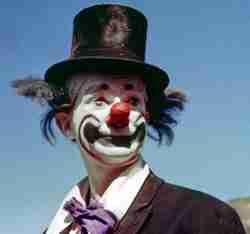 Jung continued to work as an acrobat until 1935 when he first put on that now famous clown makeup. 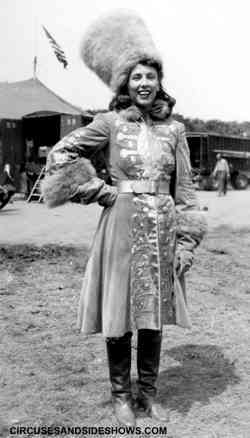 In 1938 while working on Ringling's Hagenbeck-Wallace Circus, Paul met his future wife Elsie who was performing as an aerialist and equestrian on the show. 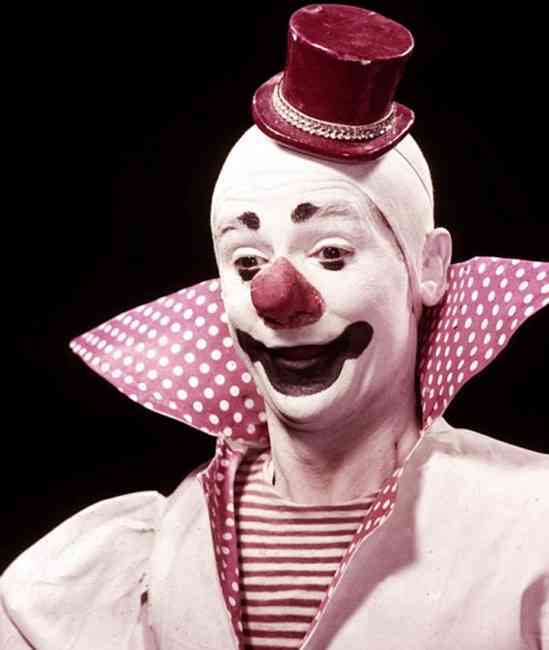 In winter months Paul along with his brother and Elisie operated the "Laugh Factory" in Tampa, FL., where they manufactured clown props and costumes. 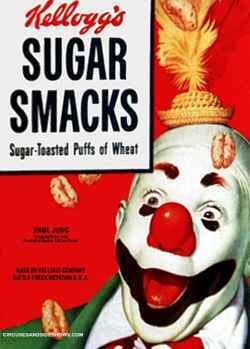 Paul began clowning with Ringling's circuses as and apprentice clown, by the 1950s he had worked his way up to "producing clown". As producing clown Jung developed new gags, designed and built props and oversaw all aspects of clown alley. 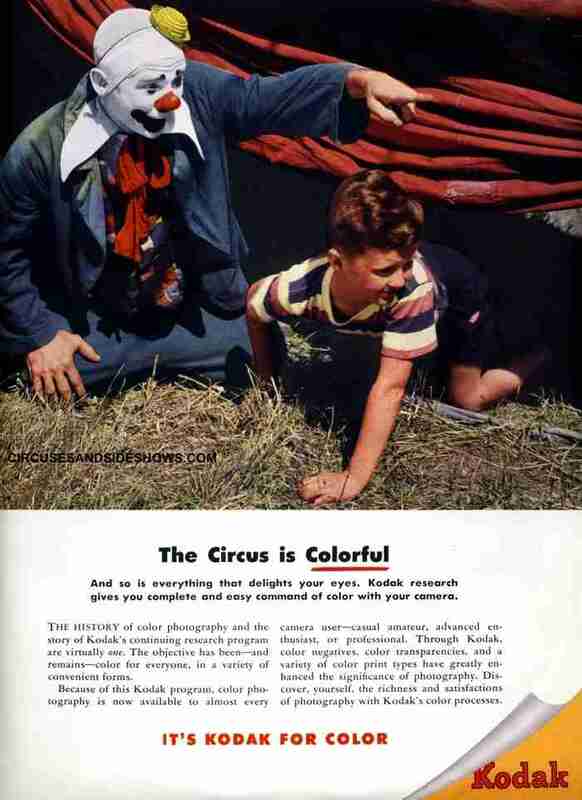 In 1965 Ringling Bros and Barnum & Bailey Circus. opened it's season at New York's Madison Square Garden as it had done for many years. During the month long engagement, Paul was staying at the Forrest Hotel which was located near Madison Square Garden. On April 21, the circus was scheduled for a morning performance. By showtime Paul had not shown up for the performance. Concerned, fellow performers called the hotel, a Bell Boy was sent to check on his well-being. When the bell boy entered the room he found Jung lying dead on the floor in blood soaked pajamas. Paul's hands were tied behind his back and he had been beaten severely. The room was blood-spattered, there was no forced entry, nor was the room ransacked. Two people, Allen Jones and his girlfriend, Marian De Berry were later arrested for the murder. Jones was convicted of first degree murder, he was and sentenced to life imprisonment. De Berry pled guilty to a lesser charge in exchange for testifying against Jones. Elsie continued to operate the Laugh Factory in Tampa for many years after Paul's death. In 1992 Paul Jung was inducted into the The International Clown Hall of Fame.